Need a tee that does it all and still looks good? 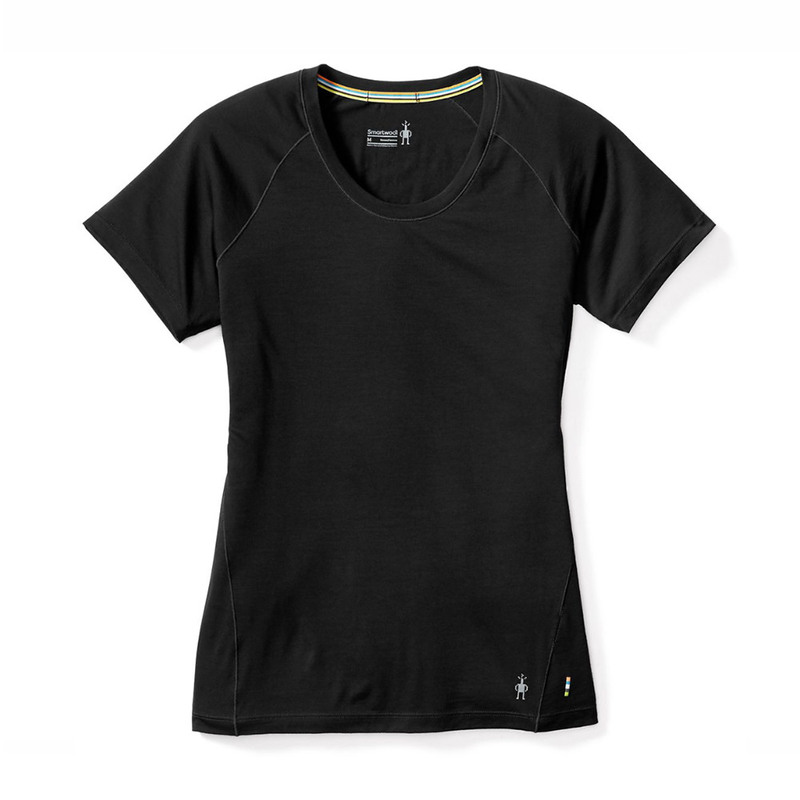 This Merino 150 Short Sleeve works undercover as a base layer on cool mornings or as a stand-alone piece during warmer temps. Featuring Core Spun technology, Smartwool has wrapped Merino around a nylon core for added durability, while still keeping the temperature regulation and moisture management benefits of ultra-soft Merino next to skin. Raglan sleeves remove shoulder seams for comfort under a pack and smooth merrow stitching wraps from side to front for a flattering look. Smartwool's lightest, most versatile layer with enhanced durability and ultimate breathability. Quick drying, it works as a solo layer in warm weather or as a base layer in cool weather. Merino fibers wrapped around a nylon core, for added durability while still keeping the comfort of Merino next to skin.